WASHINGTON • When his chemotherapy patients leave the hospital to continue treatment at home, Dr Edward Greeno faces a new challenge. He can no longer ensure they are taking their medicine. Dr Greeno, medical director of the Masonic Cancer Clinic at the University of Minnesota, has come to realise that some patients, like children hiding naughty behaviour from a parent, will fudge the truth to avoid his disapproval, even when their health is at risk. To combat patients’ fibbing and forgetfulness, Dr Greeno has begun deploying a new tool in recent months: a pill embedded with a tiny, ingestible sensor. The sensor transmits data from inside a patient’s body to a wearable patch placed on his abdomen, which then connects to a mobile app that patients and doctors can access. That data offers a new window into patients’ health and behaviour, Dr Greeno said, allowing doctors to remotely monitor someone’s heart rate, activity level and sleep cycle. The sensor, which is about the size of a grain of sand and dissolves in the gastrointestinal tract, also tells doctors when a patient has taken his medication. The information is compiled in a database that doctors can access from their devices. At the Masonic Cancer Clinic, as part of a pilot programme, doctors have begun pairing the sensor – made by a California company called Proteus Digital Health – with a common chemotherapy drug used to treat stage three and four colorectal cancer patients. “You’d think for cancer treatment that patients would be pretty diligent. That’s not always the case, for a variety of reasons,” he added. Ingestible technology has raised a variety of concerns – from how physicians will use the wave of new data created by the technology to whether that data may be vulnerable to hackers – among experts and ethicists since the Food and Drug Administration approved digital pills in 2017. Despite the concerns, many experts have pointed out that the technology will help doctors ensure patients are taking their prescribed medication. 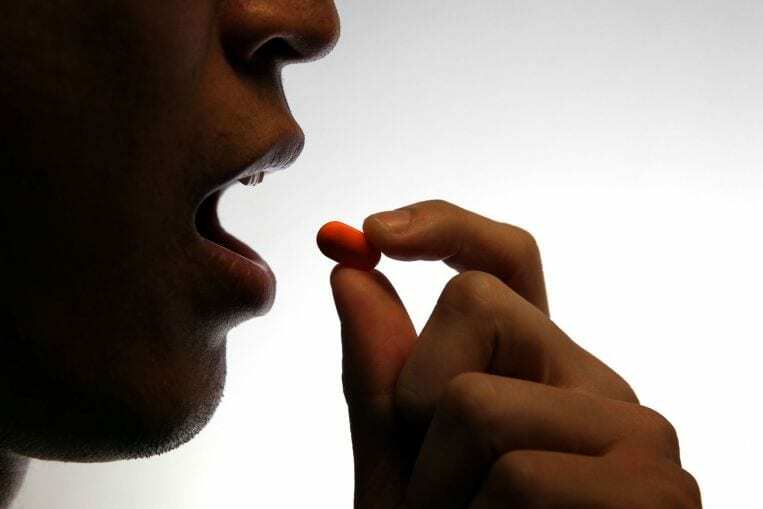 Not taking medicine – or “medication non-adherence” in the health-care world – is a “common and costly problem”, according to a study cited by the National Centre for Biotechnology Information (NCBI). “Approximately 30 to 50 per cent of American adults are not adhering to long-term medications, leading to an estimated US$100 billion in preventable costs annually,” according to the 2013 study. Comparing medication non-adherence to weight loss, NCBI researchers say the problem is more complex than it might seem and often has multiple complicating factors. Dr Greeno agreed, pointing out that his patients are not always lying about their behaviour. Sometimes, older patients have trouble opening pill bottles. Other times, he said, they are so fatigued and foggy that they struggle to adhere to a rigorous schedule that requires them to ingest multiple pills each day. And sometimes, he said, they struggle to deal with a medication’s side effects. The problem, Dr Greeno said, is that chemotherapy drugs can have a narrow therapeutic window and often cost between US$10,000 (S$13,600) and US$20,000 a month. “I had one patient whose hands hurt and she couldn’t open her pill bottle,” Dr Greeno said, noting that when the patient’s daughter was around, she would take her pills, but when her daughter was gone, she would not. “Usually, I might not find out about it until weeks later, when she comes to the clinic.